Violence has long been a tool of the systems of dominance globally. The story of on e group using violence to subjugate another group is as old as the self-awareness of human existence. In the United States of America violence as a tool of imperialist white supremacist capitalist heteropatriarchy is the very foundation of socioeconomic realities that make this nation a global superpower. In no way can one separate violence upon marginalized people from the success of our society. Every American advantage has been the direct result of violence perpetrated by the dominant culture on the least of these. Power in contemporary society habitually passes itself off as embodied in the normal as opposed to the superior. This is common in all forms of power, but it works in a peculiarly seductive way with whiteness, because the way it seems rooted in things other than ethnic difference (hooks 1995). For anyone who is a student of the history of this nation it is easy to see that violence is an indispensable tool of racism. To preach nonviolence in the American context is to be countercultural at the least and antithetical to our existence at the worst. From the genocide inflicted upon indigenous peoples in order to occupy the land to the Maafa in order to work the stolen land, the wealth of this nation is inextricably wed to violence. The egregious and insidious nature of that violence is that it finds itself continually focused by those in power on terrifying those on the margins in a desperate attempt to maintain superiority. While we have passed ourselves of on the world stage as the global standard for human rights, we are unmerciful and unrelenting in the cultural production of violence. Our churches and synagogues, our mosque and temples are often the targets of this violence. For people on the margins, religious spaces often serve as centers of cultural dissidence that ultimately seek to counter the ideological claims, or “hegemony”, of oppressive power (Hendricks 2011). Disinherited people know that any religion that professes to be concerned about the souls of men and is not concerned about the slums that cripple the souls, the economic conditions that stagnate the soul, and the social conditions that dehumanize the souls, is a dry, dead useless religion of escapism (Warnock 2014). 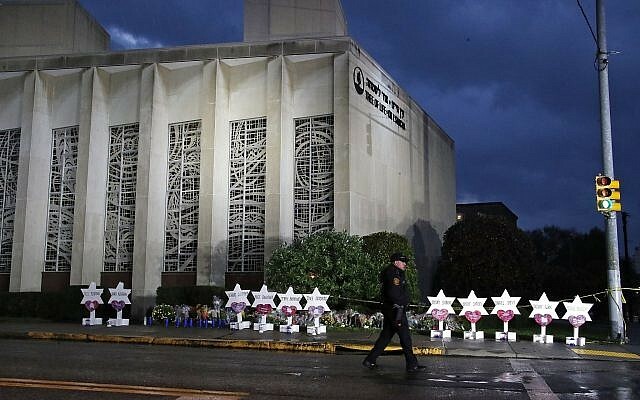 Domestic terrorist target houses of worship be cause these are the very places where resistance emerges. The dominant culture is threatened whenever and wherever marginalized people refuse to accept the dominant world’s definitions of their identities and thus seeks to cut down progressive thought at the heart of its inception (Baldwin 1993). The experience of power loses meaning if those on the underside of power fail to acknowledge it. If the position of ascendancy is not acknowledged tacitly and actively by those over who the ascendancy is exercised, then it falls flat (Thurman 1976). The fragility of the American ruling class causes them to visit religious space with violence precisely because the religious space threatens to undermine the power dynamics which make their superiority possible. In a time when the powers of government overtly traffic in hate propaganda and openly engage supremacist rhetoric, people of the dominant culture have become emboldened to enact violence on anyone they perceive to be outside the circle of supremacy. Religious people of every tradition must engage prophetic critique of the culture like never before. Our task must be to bear creative witness against the sin that alienates the individual self from God and to go to great lengths to struggle collectively in the dismantling of sinful structures that calcify patterns of human alienation in the society (Warnock 2014). We must demand that the culture of hate, that hate produced, be interrogated. Until this culture can acknowledge the pathology of white supremacy, we will never create a cultural context where the madness of white racist hatred of the other does not daily threaten the safety of all humanity (hooks 1995). Religious space must once again assume the role as the central centers of resistance. People need to hear religious leaders loudly proclaim in a clear and unequivocal voice that our preoccupation with dominant culture’s concept of liberty is killing all of us. Decentering the idea of normativity as superiority must become the foundation of new beloved community. We must rail against systems of racism, sexism, classism, heterosexism, and all other social schisms. There will be no change in the violence of the dominant culture until the voices of the religious faithful unite and disallow petty doctrinal differences from allowing us to push back collectively on the very idea of supremacy. Until we challenge imperialism and capitalism, which are built on the foundation of violence, and offer an alternative social construct, marginalized people will continue to be mercilessly murdered in houses of worship. Gun violence, bombs, and fires have all be used in an attempt to silence the prophetic critique of the religious community, but we who love freedom can not rest until it comes. Warnock, Raphael G. 2014. The Divided Mind of The Black Church. New York: New York University Press.